Two men attempted to steal a stand-alone ATM outside a Qawra shop last week but gave up after failing to lift the heavy machine into their van, a court heard on Tuesday. 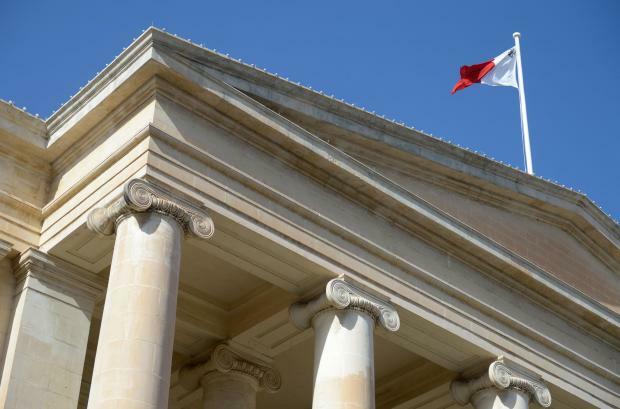 Matthew Portelli, a 32-year old from St Paul’s Bay was jointly charged alongside Carmel Hartley, 46, of San Ġwann, over the failed coup which took place in the early hours of August 29. Footage from the scene of the crime had captured two persons, faces covered, trying to load the heavy machine onto their van, giving up their efforts and driving away empty-handed when the load proved too heavy. Investigators searching the residence of Mr Portelli in relation to other suspicions had come across a van identical to the one seen on the CCTV footage of the attempted ATM theft. Inside this van were balaclavas and chains which had allegedly been used in that attempt. Further information led investigators to identify the second alleged culprit, namely Mr Hartley. The two were charged with the attempted theft of the ATM in Qawra, another attempt on another ATM in St Paul’s Bay earlier in August, as well as with having caused voluntary damage to third party property. The two were further charged with having stolen car number plates, driven a car without insurance cover and a valid driving licence as well as with receiving stolen property. They were jointly charged with having breached the terms of a conditional discharge, besides being recidivists. Mr Portelli was separately charged with breaching bail conditions imposed upon him six years ago. Both men pleaded not guilty but no request for bail was made and they were remanded in custody. Upon being informed by defence counsel Martha Mifsud that Mr Hartley was due to undergo surgery tomorrow, duty magistrate Aaron Bugeja recommended prison authorities to authorise the man to keep his medical appointment. Inspectors Fabian Fleri and Godwin Scerri prosecuted.